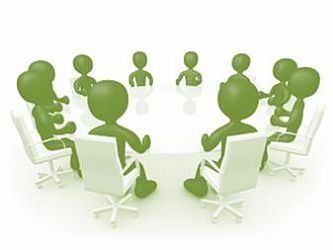 Despite predictions that technology in the workplace would reduce the need for meetings, it seems that meetings have continued to occupy a huge part of the working day.Our Managing Meetings Training Course provides techniques to improve the efficiency of your meetings. Everyone has meetings! They are a necessary part of any functioning organisation but think of how easily they can become time consuming, frustrating and wasteful. For a meeting to be effective all of its contributors need to be prepared and willing to focus on an objective. They don’t have to agree on everything, but meetings do work best when their purpose is clear and there are agreed working practices. Duration 2 days. During meetings, clients and suppliers experience and observe an organisation’s culture. Is time wasted or used productively? Are new ideas encouraged or swept under the carpet? Do participants guard their own interests or work together effectively? This course is aimed at those who arrange meetings and those who need to make an effective contribution at meetings. What are the alternatives to a meeting? What are the most appropriate facilitation techniques for each item? Why should I attend your meeting? Ordering the agenda ordered to ensure everyone’s time is used effectively? How can facilitation add value to the meeting?